On November 18th, the first Cross-Strait Food Function Molecular Science Summit Forum and the Fujian-Taiwan Health Food Industry Exchange Meeting were held at Fujian Agriculture and Forestry University. 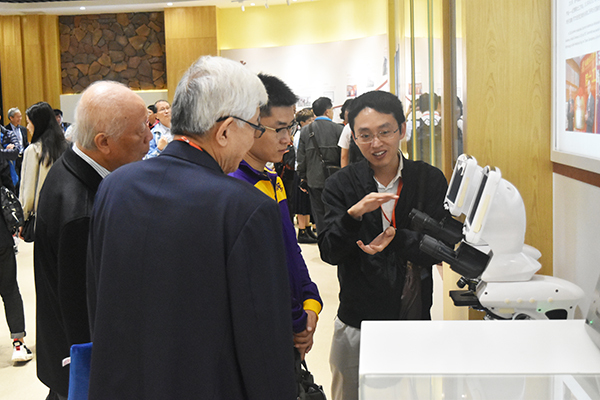 Representatives of well-known functional food experts and food companies from both sides of the Taiwan Strait participated in the academic exchanges and industrial cooperation among peers in various fields. 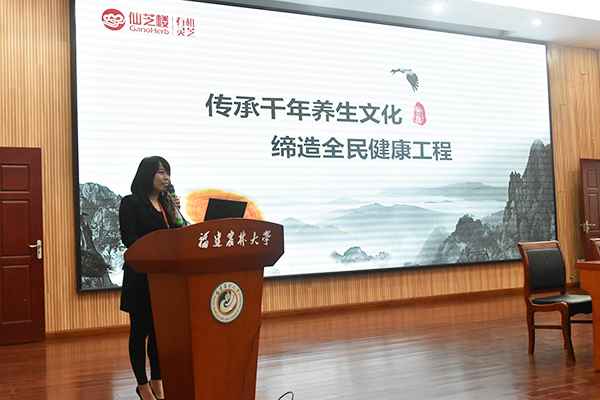 Fujian GANOHERB Biotechnology Group participated in the conference as a co-organizer and made corporate recommendations at the conference. GANOHERB introduced its corporate mission, corporate advantages and future planning to the participants. After listening to the report of GANOHERB, many representatives showed a strong interest in Ganoderma Lucidum and GANOHERB. 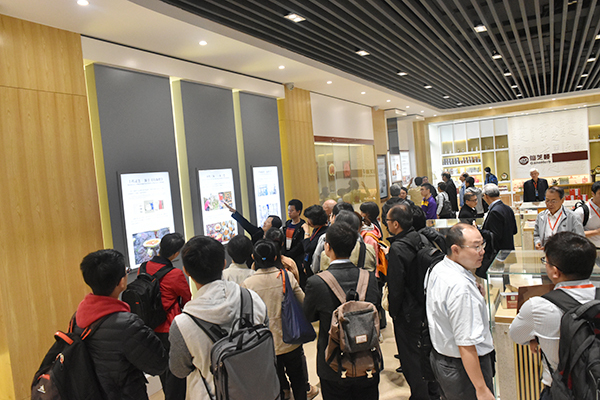 On the morning of the 19th, experts and scholars from universities such as Taiwan University and Taiwan Ocean University and a group of representatives from the Taiwanese business community gathered into a group of 36 people to visit GANOHERB Group. Li Xiaoyu, Deputy GM of GANOHERB group, and other corporate leaders received these experts and scholars. 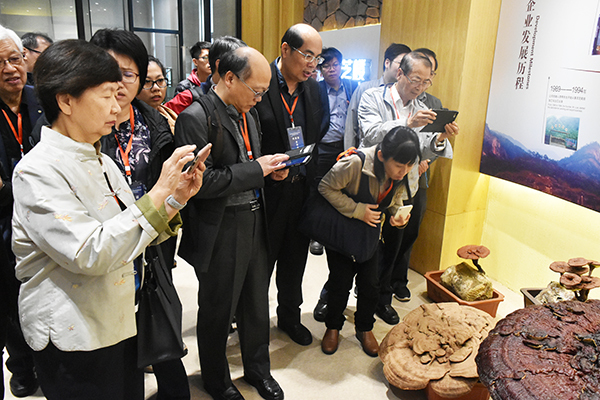 At GANOHERB's Cultural Exhibition Hall, Vice GM Li introduced the planting norms and deep-processing techniques of the organic Ganoderma lucidum, as well as the investment and achievements of the enterprise in scientific research. Subsequently, the two sides discussed a series of topics on the mechanism of action of Ganoderma lucidum active substances on the human immune system, especially the mechanism of action of spore powder and spore oil as well as how to use them efficiently. Sun Luxi, a lifelong special professor at Taiwan University, praised the products of GANOHERB, "GANOHERB can make small Ganoderma lucidum so meticulous, it is a reflection of the professionalism and dedication of Reishi health industry" and said that "GANOHERB owns two national-level research centers and two academician workstations, which are the guarantee of their scientific research strength and product quality, and they also own a solid foundation for the front end of the industry. It is expected that the two sides will enhance the exchange among the industry, university and research in the field of health and other fields in order to seek more cooperation opportunities." Ganoderma lucidum and health have always been the common topics of scholars on both sides of the strait. 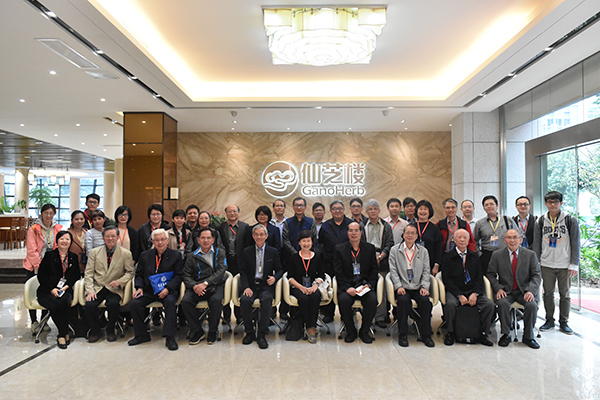 Professor Dong Dacheng, Professor Xu Ruixiang of Taiwan University, Professor Su Qinghua of Taipei Medical University and many other outstanding scholars have made great contributions in the field of Lingzhi research. 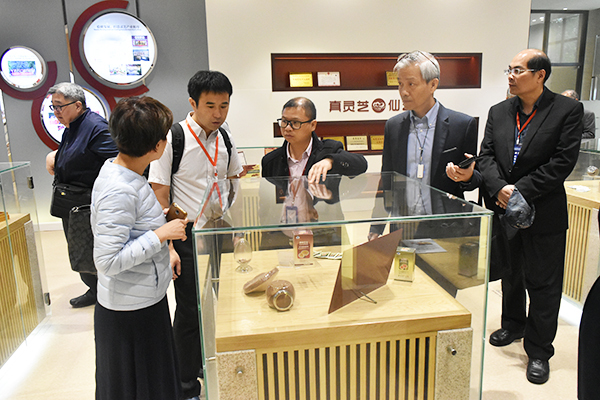 Under the joint efforts and friendly exchanges, China's Ganoderma lucidum industry is developing rapidly, making an indelible contribution to human health. GANOHERB will continue to carry out the mission of [passing on the millennium health culture and contribute to wellness for all" and practise its responsibility as the Lingzhi inheritor.